We may have gone a little overboard! 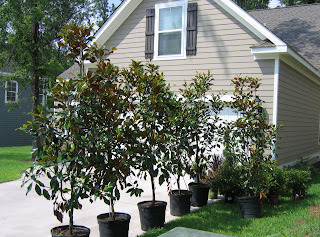 After we arrived home we realized that we purchased 12 Encore Azaleas, 4 Purple hearts, 12 Mondo grasses, 6 Magnolia trees, 3 day lilies, and one very awesome topiary… Whew, I hope Matt’s ready to do some digging! !